Best sandals I've ever owned, hands down. I wore these hard for almost 13 years before the soles separated for the second time and could not be repaired. Incredibly durable and comfortable. I've tried on so many pairs of Chacos but none of them even come close to the Teva Greckos. I just stumbled across the name of this model after YEARS of searching, not that it probably matters at this point. I think they've been out of production for many years. I believe I bought mine around 2005 or 2006. 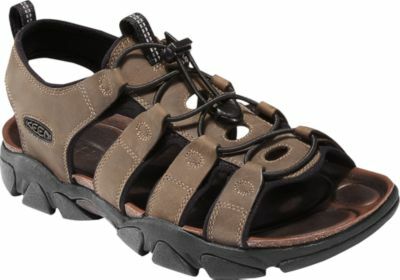 PLEASE, someone, anyone, let me know if they find anything that comes close to the Teva Grecko. I wish I loved Chacos, but there are so many reasons that they fall short of the Grecko (overly contoured heel, heavy weight, hard footbed, etc. etc.). the chaco z cloud has a softer footbed, which translates into a less aggressive feel under your feet. I would never call them light, though. Thanks for the suggestion Andrew. Over the years, I've tried the Z/1, Z/2, Z-Cloud, and the Z-Volv. None of them seem to work with my foot. I've come to realize that the Chaco heel cup is main issue for me - it is aggressively curved and raised on the sides. My heels must move slightly when I walk because they slide up and down on the raised sides of the heelcup. This immediately causes discomfort and an unnatural gait, which I'm sure would also lead to blisters, etc. The weight of the sandals exacerbates the issue. The Chaco strap length is also an issue for me. I have low volume feet, so even when I crank the straps down all the way they don't seem secure. I know that the strap length can be professionally shortened, but its another prohibitive factor. I truly wish Chacos worked for me, but unless they change the heelcup to a flat/neutral shape, I don't think I'll ever be able to wear them. 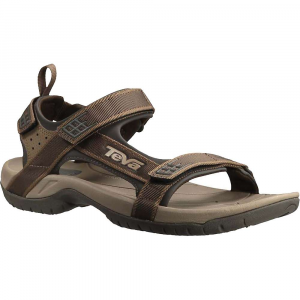 By contrast, the Teva Greckos had a shallow (almost flat) heel, were lighter weight, had a softer footbed, and had straps that I could tighten down all the way. Ontop of all that, they were half the price of Chacos (only downside is that the soles couldn't be replaced like Chacos). Update: I did some searching on ebay and was shocked to find a pair of barely used Greckos in my size for $20. They are being shipped out today. Hopefully I get the same longevity out of this pair. I also found 2 other pairs from separate sellers that were not my size. I'm really surprised that these are still floating around over 10 years (I think) since they stopped production. Anyway, to anyone who cares, there is still hope if you have been seeking the grecko holy grail haha. I'm going to keep scanning ebay and try to grab up any other size 10 greckos that pop up. Glad you found a replacement pair! Excellent sandals. 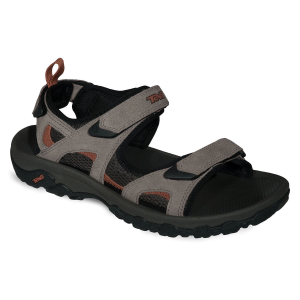 The forefoot strap threads through the sole and loops over the foot (a la Chaco sandals), which means you need only one buckle to adjust the strap, so there is less hardware to break or chafe. The strap is made of tubular webbing, which is strong and soft. And the system holds securely. 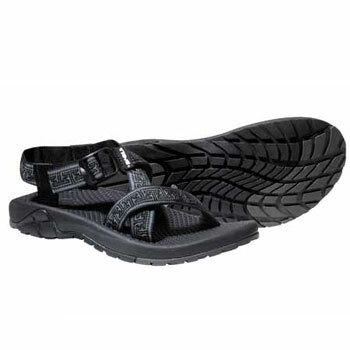 Your sandals won't get pulled off by strong currents or deep mud. The anti-odor treatment seems to work well. I never had a problem with stinky feet. I wore these for three years nearly daily, except for snowy days. They lasted well. One has developed a crack in the outsole, which is now worn thin. But other than that, the outsole has not worn through anywhere (but I have a fairly neutral foot strike). Theses sandals are the best! I've had them for 3 years and wear them almost all spring/summer. They are the most comfortable sandals ever! I have bunions and these can't be beat for comfort. They are very lightweight and have great arch support. Unfortunately, I have not been able to find another pair. The Grecko has been discontinued. 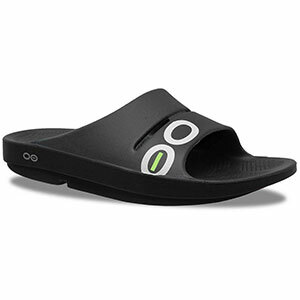 The Teva Grecko is not available from the stores we monitor. It was last seen August 28, 2007	at US Outdoor Store.